Where is it? 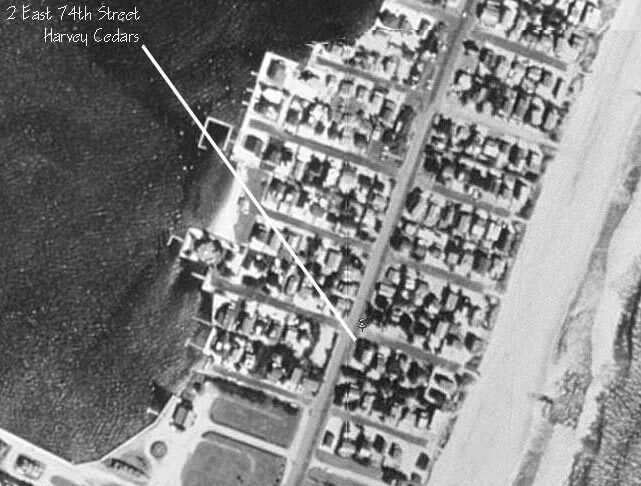 Link to interactive Google map & satellite photos of the Shore House site: 2 East Lee Avenue (aka East 74th Street), Harvey Cedars NJ 08008. Aerial photo of the house and surrounding Harvey Cedars area (shows a neighborhood). Aerial photo of the house and surrounding Harvey Cedars area (shows a larger area - may be slow to load). Lot Surveys completed in 2003, 2004 and 2005 (for new house). Driving Directions - Click on the thumbnail image to open driving directions.